NAFI recognizes the achievements and recognition of members all around the world. Here are a sampling of NAFI and industry recognition awards programs achieved by our members. If there is an award you want recognized here, please let us know [email protected]. We salute all the award winners over the years. NAFI sponsors the National Flight Instructor Hall of Fame. Its purpose is to recognize those individuals who make significant regional or national-level contributions to aviation education and flight instruction while reflecting credit upon themselves and their profession. It highlights the important role flight instructors’ play as foundation for the safety of the entire national air transportation system. 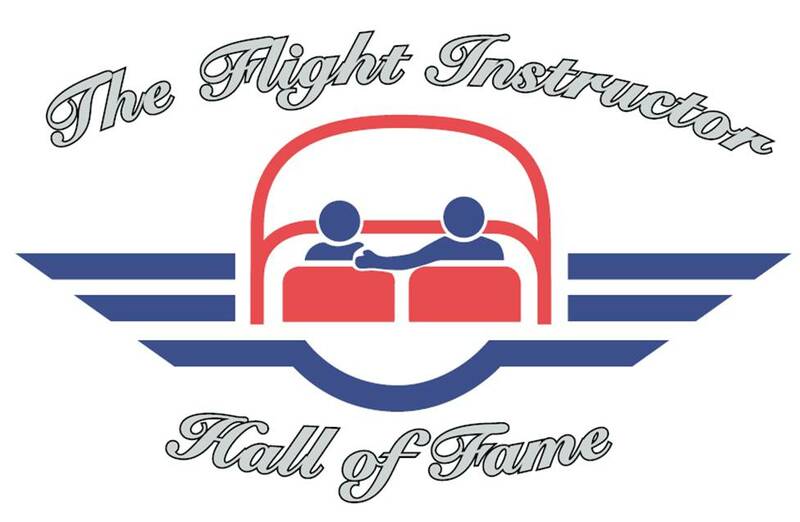 For more information about the Flight Instructor Hall of Fame click here. 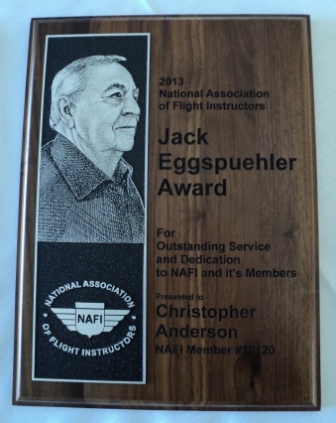 The Jack J. Eggspuehler Award, named for the NAFI founder, is the highest honor that NAFI bestows. The award is given to deserving members, industry leaders, and/or organizations that have performed great services for NAFI in benefit of its members. This award must be voted on by the NAFI Board of Directors by two thirds majority and is traditionally awarded at the NAFI Breakfast at EAA AirVenture. For more information about the Eggspuehler Award click here. The Greg Laslo Excellence in Writing Award is NAFI's recognition of outstanding contributions by members, industry leaders, and/or organizations to NAFI publications such as Mentor and eMentor. This award recipient is chosen by NAFI Editor David Hipschman. The award is named for former editor Greg Laslow. For more information about the Laslo Award click here. The Federal Aviation Administration (FAA) recognizes the efforts of pilots who have followed and continue to follow the precaution and awareness of safe flight operations. Most of all, the FAA recognizes pilots who have contributed and maintained safe flight operations for 50 or more consecutive years of piloting aircraft. Therefore, the FAA has a program to recognize those pilots who have 50 or more consecutive years of safe flight operations: the Wright Brothers Master Pilot Award Program. For more information about the FAA Wright Brothers Award click here. The NAFI Master Flight Instructor program confers a national accreditation to aviation educators based on a system of advanced professional standards and peer review. It identifies the practitioners of aviation education who have reached the highest level of instructional activity, educational experience, and professional service to the flight-training community—the true masters of aviation instruction—and it publicly recognize these “teachers of flight” to provide a professional standard to which all aviation educators can aspire. The General Aviation Awards Program is a cooperative effort between the Federal Aviation Administration (FAA) and aviation industry sponsors to annually recognize outstanding individuals in the fields of Avionics, Flight Instruction, and Maintenance. In addition, the program recognizes outstanding individuals serving the FAA Safety Team as representatives.The awards highlight the important roles these individuals play in promoting aviation safety, education, and professionalism. Winners are recognized locally, regionally and nationally. For more information about the National CFI of the Year click here.